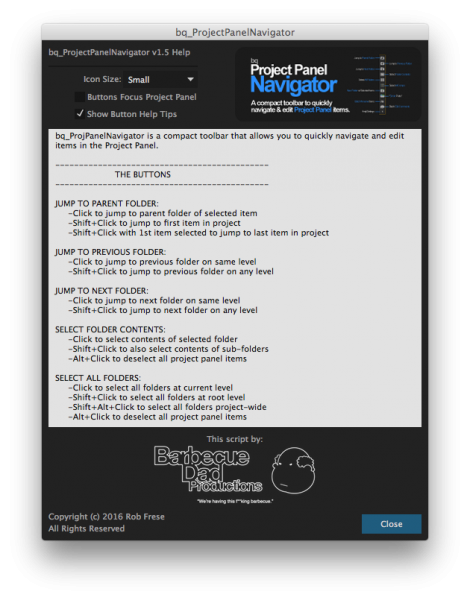 A compact toolbar to quickly navigate & edit Project Panel items. 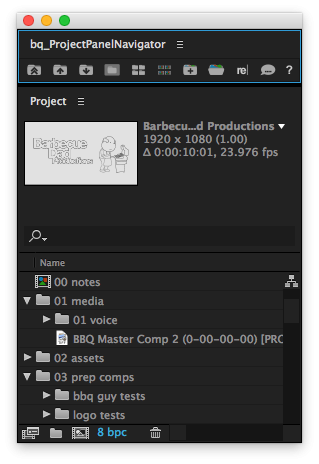 Ever feel like AE's Project Panel is a little clunky to navigate? Then this tool is for you! Quickly navigate and edit items in the project panel with ease. Customize the toolbar to your liking. 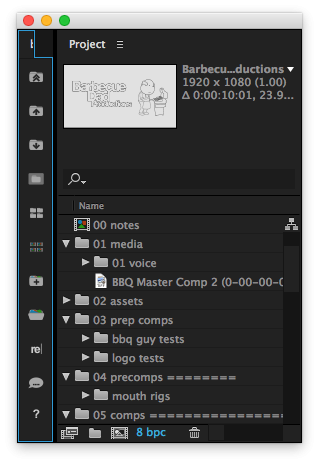 Create new layers above the currently selected layer in the composition. Will launch a project or template every time your start After Effects. 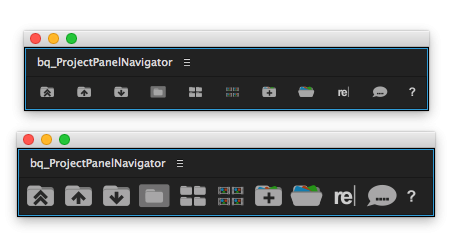 For example, if you have a certain folder/file structure you like to keep for your AE projects, you can setup a virgin project the way you like it and save it as a template by giving it a .aet extension. 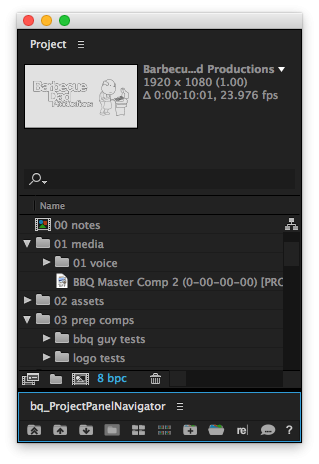 Now every time you launch AE your custom setup will be automatically loaded. A customizable toolbar to help you navigate shape layers. Less searching. More finding. Scale and rotate animated motion paths in a couple of clicks. Build and manage Head Rigs with intuitive controls. Rigging heads has never been so easy.